Our first meditation retreat was a great success and we are looking forward to hosting another one soon. 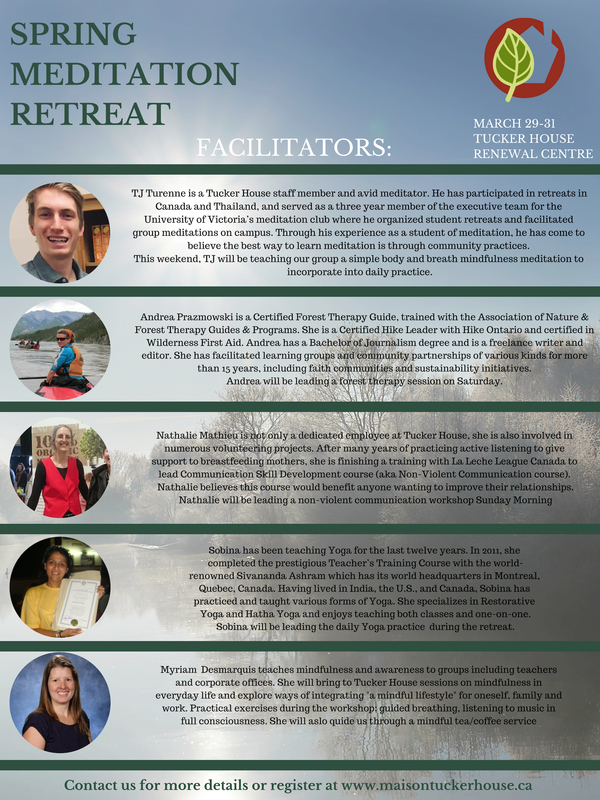 Stay tuned for details on our next retreat soon! 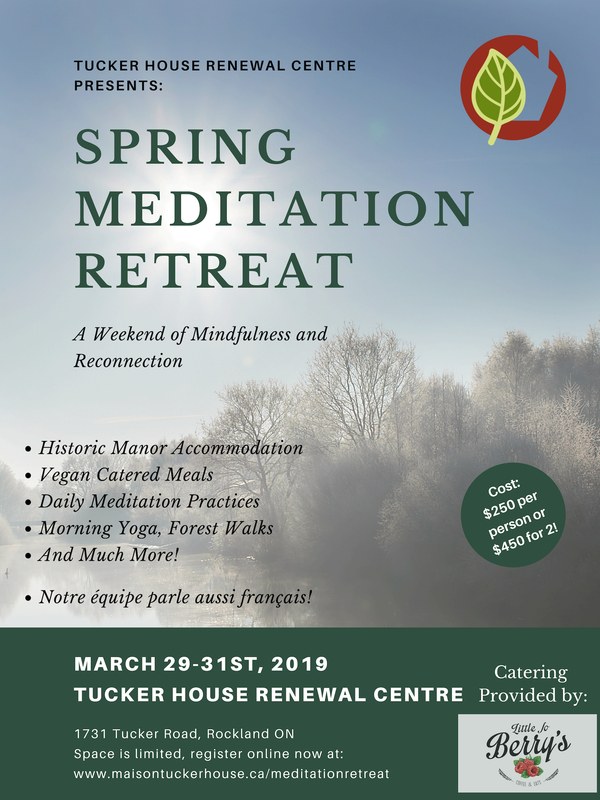 Tucker House Renewal Centre is pleased to present our very own Spring Meditation Retreat. Join us this spring for a weekend full of meditation and reconnection. Participants will enjoy daily yoga classes, guided and non-guided meditation, forest walks, mindful meals, a non-violent communication workshop, campfire and more! Just 30 minutes from downtown Ottawa, escape the city for this rejuvenating weekend of peaceful activities. Space is limited for this intimate retreat so register today! Accommodation and meals included. Accommodation is in historic manor in rooms of 1-3 persons. Please indicate if you have accessibility needs. Sign up and enter to win a month pass at Modo Yoga Orleans! Prize will be drawn at the retreat from participants. One free month unlimited pass to Modo Yoga. We will have a masseuse on site during the weekend giving free massages to the first 4 people to sign up for the retreat. She is also available to reserve private massages during the retreat if you are in need of some extra relaxation. Let us know when you register if you are interested in adding a massage! Register today to claim your spot as space is limited for this intimate retreat. Carpooling encouraged, add your info in the sign-up sheet if you are looking for/offering a ride.